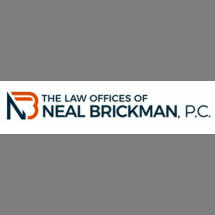 The Law Offices of Neal Brickman, P.C. features a team of creative attorneys focused on its clients’ needs and results. At our New York law firm, we represent individuals and corporations in employment law and commercial litigations. We’re a small firm, but we achieve big results. Our team has worked on high-profile cases with a range of clients, including corporate executives, large and small hedge funds, brokers and broker/dealers, entrepreneurs, employers and employees. We don’t tie ourselves to a single industry, but our vast experience in the financial sector dates back to 1990, which has helped hone our talented team’s skills in securities matters, restrictive covenant litigations, and other complex commercial litigation cases. We’ve represented countless clients in the financial industry, from defending against workplace discrimination to intricate FINRA arbitration cases, and we take the time to represent every client’s best interest by offering innovative solutions to the most complicated legal issues. It’s why our firm is nationally known. At The Law Offices of Neal Brickman, P.C., we offer flexible fee structures, but we are by no means a discount law firm. Our lawyers work with you to create a personalized payment structure that allows us to achieve remarkable results on your behalf. When you work with The Law Offices of Neal Brickman, P.C., you get the results you expect from a large firm combined with the personalization and agility of a small firm.